CarGurus has 951 nationwide GranTurismo listings starting at $24,565. Oh boy! How does one top the superlatives that roll from drool-laden keyboards of media types who attempt to outdo each other in their praise of the 2014 Maserati GranTurismo coupe and drop-top lineup? Yes indeed, this is an automobile for the wealthy connoisseur who wants speed, comfort, agility and pizzazz in his or her morning and evening commute to the casinos in Monte Carlo or, perhaps, to the bistros of Midtown Manhattan or the mansion in Beverly Hills. Seating 4 adults in a cabin redolent with comfort, this sleek 2-door again boasts 5 trims, the entry-level Sport Coupe, the distinctly un-basic Base Convertible, the exotic Sport Convertible, the track-inspired MC Coupe and the equally race-ready MC Convertible. Of course the GranTurismo lineup ought, once more, to offer state-of-the-art interiors that, for a hefty price, can be configured to individual taste, but beware that luggage-toting capabilities are at a premium with only 9.2 cubic feet of trunk space. Anyhow, essentially a carryover from 2013, this latest GranTurismo iteration does flaunt some minor exterior tweaks, and both MC configurations are expected to reprise the available 2+2 seating arrangement. Again Ferrari’s scary-quick 4.7-liter V8 powerplant mates with a sport-oriented ZF shiftable automatic transmission (with steering-wheel-mounted paddle shifters) for 454 hp and 384 lb-ft of torque. Look for a 0-60 time of 4.7 seconds in the hard-top versions, not to mention 13 mpg city/21 highway. The MC versions additionally sport a single-clutch version of the 6-speed auto-manual transmission and knock a tenth of a second off the 0-60 run. Curiously, the Base Convertible version of this elegant ride puts down only 444 hp and 374 lb-ft of torque from the same drivetrain, with, consequently, a bump in the 0-60 time to just over 5 seconds. Needless to say, reviewers are again scratching their heads at the lack of a fully manual transmission as an option in these exotic escapes. In any case, look for this speedster to decorate showrooms with 20-inch painted alloy wheels, Brembo brakes (in your choice of color) and, in all but the MC trims, a new-for-2014 Skyhook suspension to smooth out the ride a bit more. Expect premium leather upholstery and sport front seats to once again adorn all 2014 GranTurismo editions, with said front seats coming heated and power-adjustable with memory for driver's settings. Power door locks and heated power-adjustable mirrors also are slated to come standard, as are cruise control, telescoping tilt-wheel steering and front and (on all but the MC versions) rear parking sensors, as well as Bluetooth music streaming and hands-free calling. Acres of leather, wood and chrome again should grace an already over-the-top cabin, while entertainment is expected to be provided once more by a Bose premium system sporting 11 speakers, satellite radio, music storage and a USB port. The MC variants of this exercise in erotica add, besides the uber-sport-tuned suspension, an auto-dimming rear-view mirror and a whole bunch of trim-specific upgrades to the exterior and interior bling, including aluminum wheels, scintillating color choices and hand-stitched leather. Options, meanwhile, include the Skyhook suspension that’s available to the otherwise more nimble MC, as well as the re-introduced 2+2 seating. Nearly infinite customization choices in leather, chrome, carbon fiber and color again distinguish both the exterior and interiors of this latest GranTurismo incarnation as well. Finally, noteworthy standard safety equipment in all 2014 GranTurismos should remain 4-wheel antilock brakes, traction and stability control, front head airbags and front side-mounted airbags. Again, LED daytime running lights and adaptive, self-leveling high-intensity-discharge (HID) headlights, a post-collision safety system and a remote antitheft alarm are all expected to be standard, with the high-end MC Coupe and Convertible additionally boasting rain-sensing wipers. 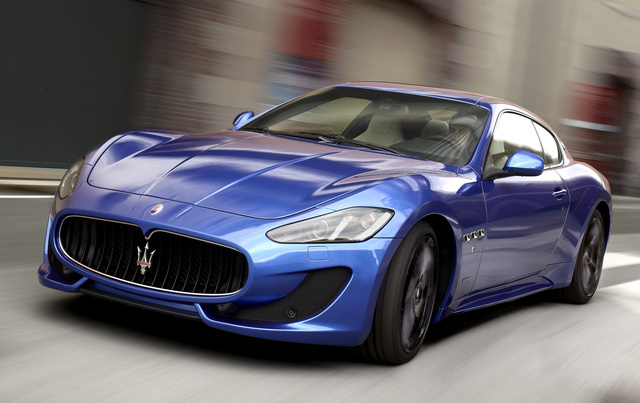 What's your take on the 2014 Maserati GranTurismo? Users ranked 2014 Maserati GranTurismo against other cars which they drove/owned. Each ranking was based on 9 categories. Here is the summary of top rankings. 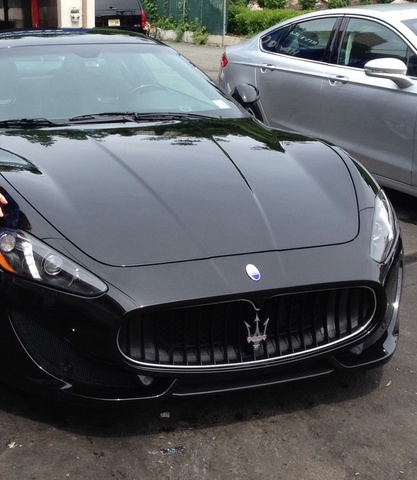 Have you driven a 2014 Maserati GranTurismo? Why Did You Stop My Inquires. I Am Looking To Buy A Car. You won't let my computer access you photos and data.